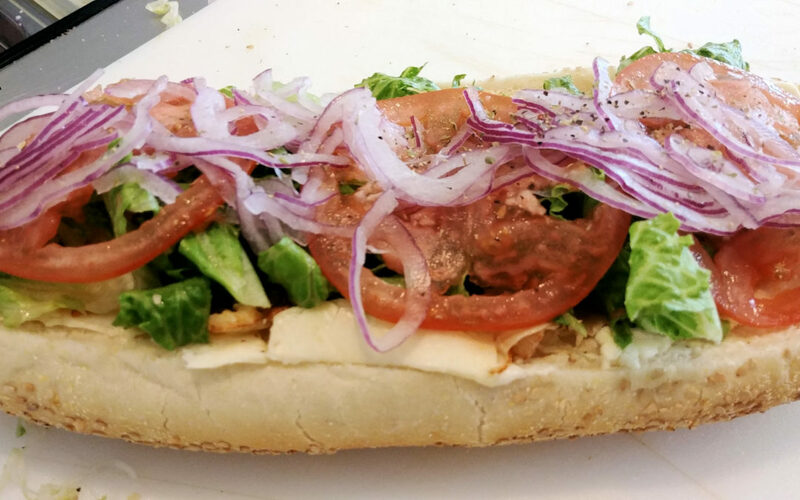 There’s a new hoagie shop in town, and the name is Mister Ricks Hoagies. Offering take out and delivery, dining in (seats are limited so get there early), as well as catering, the hoagies were already flying out the door when we stopped in for a visit. 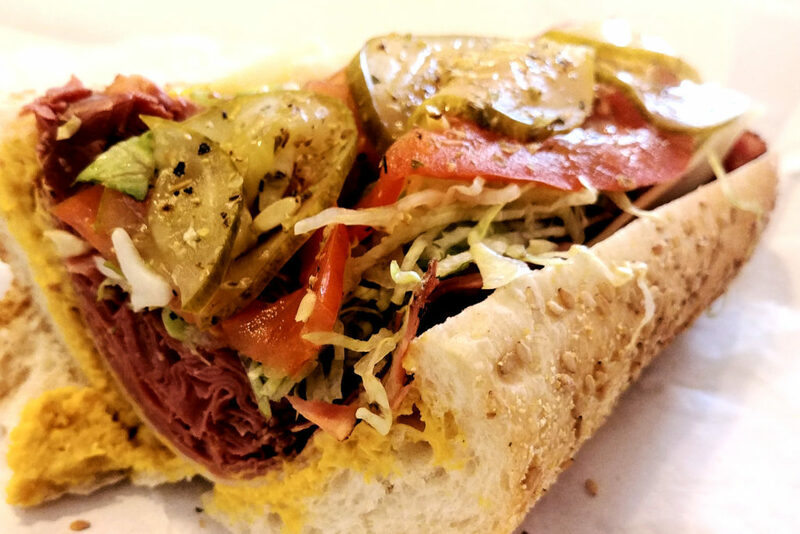 Mister Ricks Hoagies offers specials like the ever popular Corned Beef and Pastrami, Cajun Hoagies for the those who like it spicy, and an extensive list of their own clever takes on the modern hoagie. Located on 303 Leedom Street in the heart of Jenkintown this will soon prove to be a local favorite. 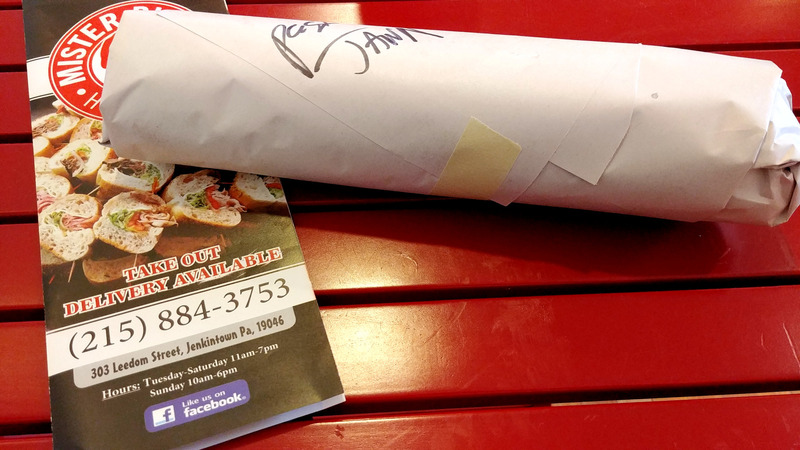 The “Pastrami Jawn”caught our eye, and we were off to hoagie heaven in minutes. We opened up the Pastrami Jawn and were met with a monstrous roll with just the right amount of exterior crunch that held a treasure of perfectly marbled pastrami, Swiss Cheese, crisp pickles, lettuce and tomato (we passed on the onions) accented with the house hot mustard. Moments later we were stuffed and still had this lovely half to take home. The Pastrami Jawn was so good we can’t wait to get back and try some of their other Fan Favorites. “The Chi” with roast beef, giardininera spread, hot peppers and garlic mayo looks amazing. What will be your favorite? Maybe Senor Tuna? Sharp Italian Hot or Sweet? Pesto Chicken? Veggie Delight? We’re ready to try them all.